PICK ME! -- Ducky and Bunny are carnival prizes who are eager to be won. But when their plans are rudely interrupted, they find themselves on an unexpected adventure with a group of toys who have no idea what it feels like to be tacked to a prize wall. Funny men Keegan-Michael Key and Jordan Peele provide the voices of Ducky and Bunny, respectively. 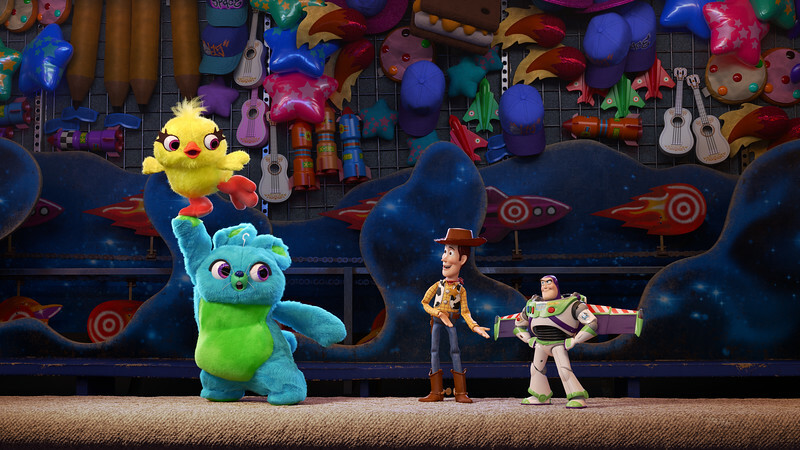 Directed by Josh Cooley (“Riley’s First Date?”) and produced by Jonas Rivera (“Inside Out,” “Up”) and Mark Nielsen (associate producer “Inside Out”), “Toy Story 4” ventures to U.S. theaters on June 21, 2019. ©2018 Disney•Pixar. All Rights Reserved.